Three AEC 508 Cab Over Forward Control vehicles have joined the growing collection. The Corgi Classic models in Panel Van and as here Tanker are heavy diecast models with quite an amount of detailing and certainly colourful liveries. 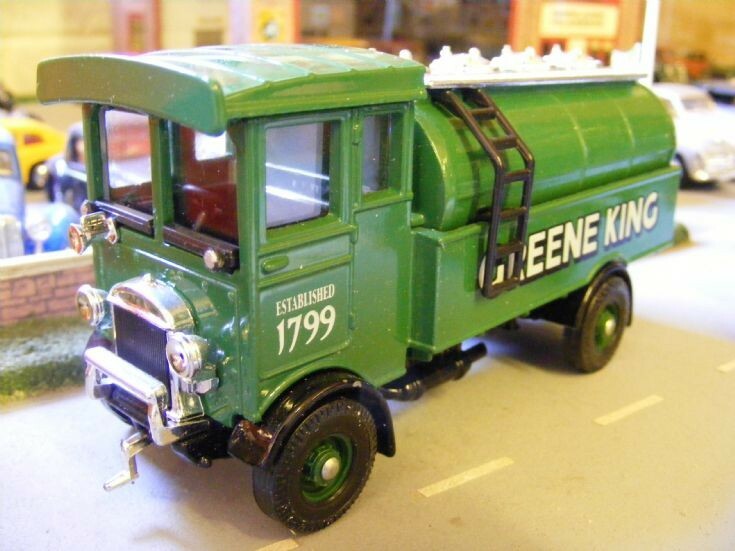 Greene King Brewery from Bury St Edmunds is shown here and this AEC came in a set with a Thornycroft Bottle Wagon.